Tickets must be redeemed at the Mega Bounce entrance, please have your iVenture Card present. Collection Information Tickets must be redeemed at S.E.A. Aquarium ™ Guest Services Counter, please have your iVenture Card present. 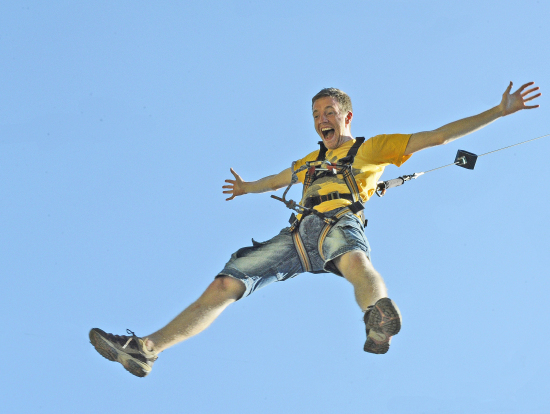 Test your acrobatics on a dynamic bungee assisted trampolines! 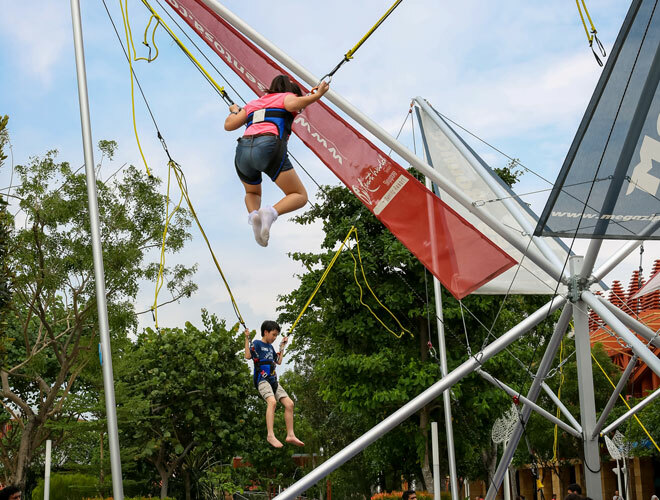 Located on Siloso Beach by Mega Adventure ticketing counter, this is the perfect activity to entertain the kids and give them their very own Mega Adventure. Bounce up to 8m high on any of the 4 trampolines on the beach with the instructors and harnesses ensuring safety throughout. Take in the unblocked, panoramic view of Sentosa waterfront while you enjoy some serious adrenaline-pumping exploits. Get high on fun as you jump on MegaBounce! Soar to heights of up to 8 metres and perform gravity-defying flips and turns on a super trampoline whilst you are strapped on to elastic powercords. Thanks to the elastic powercords, you can perform flips and turns on this super trampoline without being a trained gymnast. Riders must be between 10kg and 90kg. Please ensure you have your iVenture Card with you on arrival.